It’s been a couple of weeks since our physics intern (Jon Cheyne) finished his internship with us, and all in all it’s been a great experience for us - both working with SEPnet (a consortium of seven world-class universities in SE England) and with Jon himself. The work he did interviewing physics researchers at QMUL about the Things We Don’t Know is invaluable. I’m really pleased that Jon wants to maintain a relationship with us in the future, too. If you’ve missed any of his great blog updates I highly recommend them all. We’d never have learned the Northern Lights make noises; that scorpions glow in UV light; or that the atmosphere of the sun is a thousand times hotter than the surface below it without his posts. Of course, those posts were just the tip of the iceberg for Jon. In fact, the knowledge Jon gained about ongoing scientific research in a wide variety of fields nicely mirrors one of our goals, which is why we're working directly with students. Things We Don't Know wants to explain all the mysteries of science, not just a handful. We also want to explain them to everybody, not just scientists. Jon's day to day task was writing about as many open questions (which we call "Things") as he could, and putting them all into our database. 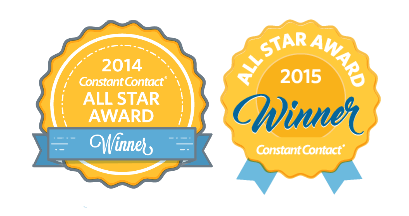 We're combining related Things to create interesting articles, which anybody can read. But these articles will be more than just fascinating stories - we're adding features to turn them into an interactive repository that is useful to students, scientists, and journalists too. In the case of students like Jon who wish to go into research, we want to help them make the right choice about what research question to focus on - and where to do it. Once we feel we have enough of these articles written, the site will go live. We’re very keen to offer others the opportunity to gain some new skills and experience in science communications, and help us to build our database through internships in the future – if you’re interested either in helping to fund an internship or taking part in one, get in touch with our recruitment department. In other news, I’m currently jumping on a plane to Zurich every few weeks to meet up with the guys running an arts project we’ve been chosen to take part in. It might be surprising to hear the words "art project" from a site dedicated to science, but there's method in our madness! Thom Reinhard and Monika Truong’s project "Invest In Me!" brings together venture capitalism, crowdfunding, and theatre. If you're familiar with the TV show "Dragon's Den", and probably even if you're not, the idea of an entrepreneur pitching to investors almost certainly conjures up a very specific image in your mind: an entrepreneur standing in front of a few rich people behind a desk, possibly using a projector screen with a presentation on it to "sell" their vision. What if you threw away this standard pitch, replaced it with one written by dramaturges and playwrights, had the entrepreneur trained by actors, and put them onto the theatre stage? As a part of the Freischwimmer festival, this is exactly the experiment Thom Truong are conducting. They have brought together five social enterprises from different parts of Europe, and we're happy to announce that we're one of them. We'd love to see as many of our fans at the event as possible. A full schedule of events will be posted on their website and facebook. We'll be speaking about our vision to audiences in Germany, Austria and Switzerland - and challenging each audience to help us make it a reality. The south eastern United States is not exactly unexplored frontier. It's been inhabited for a good long while, and the population density is fairly high. You might expect that we have found and described all the animal species living there. That's why I'd like you to meet Barbicambarus simmonsi. 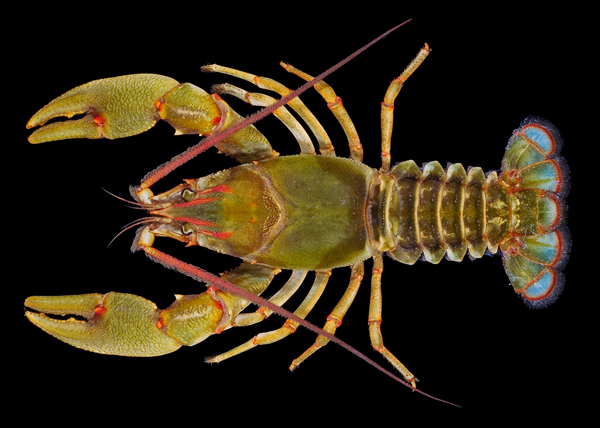 This is a crayfish species that was discovered in Tennessee a couple of years ago (Taylor and Schuster 2010). It was previously unknown to science, which is surprising for two reasons. First, that south eastern region of the U.S. has had no shortage of biologists looking for crayfish there, because it has some of the highest diversity of crayfish species in the world. Second, this is not a small, inconspicuous crayfish. As crayfish biologist Chris Taylor tells it, this crayfish species is so big that when he asked the locals if there were crayfish around, they said no, "but there were some big lobsters upstream." Lobsters! I bring up this story because it shows that one of the things we don't know is how many species we share the planet with. This is a serious problem if we want to understand and preserve life. Species are critical to how we organize our thinking about life. Each species has its own distinct combination of features that you don't see in any others. People have tried to estimate how many species there are, but those estimates range wildly. Most are in the millions or tens of millions. You might just accept that we may never get a handle on how many different kinds of microscopic organisms are out there. But still, the problem doesn't go away if you limit yourself to big organisms: the plants, animals, and fungi, mostly. It looked like it shouldn't work. It looked like it couldn't work. 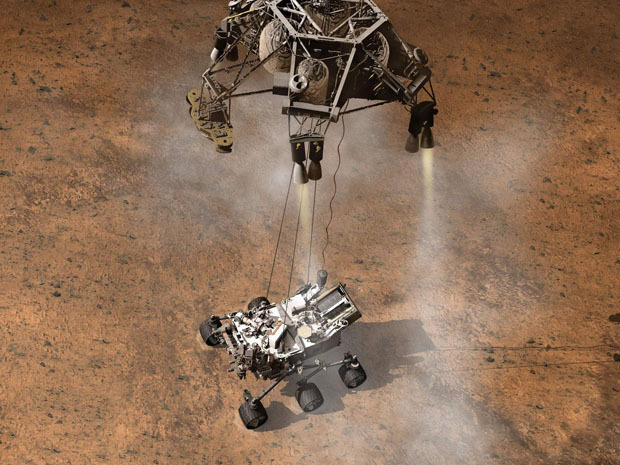 It looked like NASA's most talented engineers had got drunk together at a party and, for a dare, designed the most ridiculous, dangerous way of landing a multi billion dollar robot rover on Mars possible then giggled "Yeah, let's try that!" But early this morning, after screaming through the barely-there martian atmosphere in a fireball, the nuclear-powered "Curiosity" rover was lowered down from a hovering rocket platform and touched down softly and safely on the floor of the huge Gale crater. The first pictures - although hazy and blurred - suggest it came down within a few kilometres of its goal: an ancient, layered mountain called Mt Sharp which rises up from the crater's heart to scrape the pink martian sky. Planetary scientists and armchair explorers alike are delighted and impatient for Curiosity to begin rolling across the crater floor and start exploring. But what will Curiosity actually be doing on Mars? Well, a Google search of its name will bring up a lot of stories in the media about how the "Mars Science Laboratory" is going to look for life. It isn't. It's been sent to Mars to travel back in time and see if Mars, or at least this part of Mars, was once capable of supporting life. There's a hexagon on Saturn's North Pole, and we don't know why. The northern lights make sounds, and we don't know how. Ebola is deadly and wildly contagious, but between outbreaks it must be hiding somewhere, and we don't know where. Something in the middle of our galaxy is emitting a whole bunch of gamma rays, and we don't know what. There are places around the world where we know there are likely to be big earthquakes, but we don't know when. Someone may answer each of these questions one day, but right now we don't know who. It may be someone working in the field today, or it might be someone who is just starting school. It's only by making people aware of the questions that remain unanswered that we are inspired to push back these boundaries. These are all puzzles I've been writing about this week, and for each of them I did the majority of my research online. When looking into the background for each of puzzles, and indeed for all of the research I have done over the course of my internship I have been astounded by the way in which the slightest tentative advances in our understanding are reported as though they are definitive solutions to monumental problems. This is a bias Ed warned me about when I started work at Things We Don't Know but it represents a huge problem with the way in which we are taught about science.